I’m going to try to do this stage wise, so bear with me (last updated 09/08/2009). I was born in Kuwait City, Kuwait on August 2nd 1976 during the early hours. I’m the second child of my parents, Gopal Krishnan and Rema Devi, the elder one being my sister Sherine (born 1970). My father was working for the National Bank of Kuwait and he would work for them for 29 years and would make it as a branch manager. My mother was / is a homemaker. I grew up in our tiny 2 bedroom (barely) apartment in a building which had 18 other families living in it. I had a wonderful childhood with lots of friends and plenty of activities to do. We spent the evenings watching cartoons & American tv series like Battlestar Galactica, The A-Team, Knight Rider & Star Trek. I did well in school and I had a lot of fun. We moved back to India in 1987 and quickly settled in a big house in the then dead quite suburb of Thrikkakara. The house had been built in 1985 and spent 2 years waiting for us. I joined Hill Valley High School, which was quite near my house. It would define me for the rest of my life and will continue to do so until I die. We had some great teachers and the world’s worst lady principle. She was pure evil man! I made a lot of friends but unfortunately I don’t have any contact with any of them now. I also became an atheist at the age of 13! I would have my first crush (my physics teacher Maggie) & second crush (a girl 2 years older called Sofia). In the 9th grade I found out that a quite & sweet Muslim girl had a big crush on me. And then I made my first girlfriend (sort off) an Anglo-Indian called Michelle. No one can accuse me of being a non-secularist! I went for any race or religion! I was also a school leader (one of 4) in my final year. The day after just completing our 10th year final exam, I sat in my room and sang to rock anthems, happy that school was over, but deep in my heart I knew that things would never be this good ever. Can you say Wonder Years? Yeah! With the onset of gunge, I set out to college (pre-degree) in Kalamaserry and looking back it was all down hill from there. I made the wrong choices and I made the wrong friends. Let’s just say that my education would stall. I moved to Bangalore at the age of 19 for a year to join a polytechnic but dropped out after a year. I also got my first real love at the age of 17 (after 18 months of wooing her) and had a physical relationship with her. I thought that this was it! Turns out that it wasn’t. 3.5 tumultuous years together and it fell apart. I was devastated but looking back, I’m glad that it didn’t work out, for several reasons. I joined NIIT and had a great 2+ years in that institute. During this time I also worked part time, marketing modems and also with my dad in his business. It was going down and there was nothing that we could do. Money, which was never a problem now suddenly become one. I drifted for a while and then managed an internet cafe and then dropped that to join an e-commerce course for a year. After the course ended I tried looking for a job but wasn’t finding luck. Then I answered an ad for marketing internet concepts and did that for 3 months. It was pretty lame and I got bored off it soon. A month or so later, I was thinking, I’m almost 26 and no steady job, what do I do? Then I was told by some relatives of a BPO starting up in Calicut and that I should apply for it. I did and I joined up 4 days before my 26th birthday. 8 months later the company went bust and we didn’t get paid for more than 2 months. I almost ran away to Goa since I didn’t want to come back home. I didn’t and 2 weeks after I came home, I got a job in AspinWall – another BPO an hour away from Thrikkakara. It was great for 7 months until I got fed up of the lying and the sales pressure but I made two great friends who are my best friends now. I then moved to join up the customer care of a local cell phone service provider. I became a supervisor in 10 months and 5 months later a Call Center Mentor. My contract ran out after 2 years and they made me join up their service partner in Thoppumpady where I became a trainer. I so enjoyed the training aspect but not the pay and I left them to join my current company. I joined as a trainer and 16 months later, I was promoted to the Training Team lead which I have been doing from July. As of January 1st, I am due for a good pay hike (finally) and I can’t wait. I’m currently an Assistant Manager but still struggling financially as the company has deferred due hikes in salary due to the recession. Meanwhile, more work keeps piling up & pressure keeps mounting. Oh and along the way, this lonely atheist has had his heart broken a few times and is still waiting for that special woman to take a chance on him. I hope this bio serves it’s purpose and you got to know a lot about me. The Blog: Just to help you understand the reasons for the font colours – all movies & tv series will be in red, all songs & albums in orange, all book titles in olive, all links in bold maroon & if I have a picture of a person in a post, I’ll mention his/her name in teal (unless it’s obvious that the picture & post is about the same person). Roshan could refer to the prime minister of Turkey. Roshan means “light” in Persian. Roshan – Warder to Samitsu Tamagowa of the Yellow Ajah from the popular Wheel of Time series by Robert Jordan. Roshan was the name of a vassal state of Shighnan in nineteenth century Afghanistan. 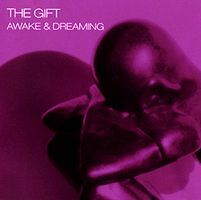 But how I got the name was by the song Awake & Dreaming by Finger 11, which I love so much and plus I thought it would be a cool name and perfectly describes my character. It’s sad & beautiful at the same time. Roshanji would like to see ur views on love as well…Here I submit a small segment from my personal librery(nothing but got inspired by Samual Taylor Coleridge)…. It was such a bright shine that comes from her eyes. When I had that heavenly presence in me. Just for me and not for the rest. I felt like daring even Him, cause I had her with me. Fragrance all the time they meet me. I had that sweetest one which I thought everlasting! O` flower thou are rooted among the veins of my heart. Away from me that pain of extreme joy. Happy here I am, cause little does she know about it. A depressed mind had taken place of that joy extreme. Happy here I am, cause little is she aware of it. By the fate got plucked out of my heart. Knowingly that itâ€™s lost for ever, ever and everâ€¦â€¦..
the longest blogroll I have ever seen !!!!!!!!!!!!!!!! Grt new look to u blog. Really catchy indeeed!!!!!!!!!! Roshan, this is a nice intro, and your blog looks very different and unique. 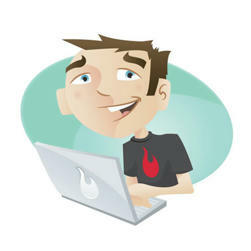 and i know a few people, – the regular visitors to your blog, we like the style of writing, and the variety in articles. I am from Cochin too. And you got a good blog going on here. My name is Austin Brown and I have been following your contributions within Awake & Dreaming. I really enjoy the great material you have to share on a consistent basis and I really hope to see this blog thrive well into the future . I’m writing to you today because I thought that you and your readers would be interested in hearing about a new reality-TV singing competition for country singers thats hitting the web and television called The Hard Road to Nashville ™. I’m working as part of the Hard Road team to get the word out about the competition/show and I thought that this might be some relevant information you might like to share with your readers. Below I have included the body of a press release that is to be released on wire Tuesday, February 23rd, 2010. Feel free to repost this information on your blog and don’t hesitate to email me with any further questions you might have. You can email me at nline@thehardroadtonashville.com">online@thehardroadtonashville.com with those questions or comments. Thank you for your time! New reality-TV singing competition, The Hard Road to Nashville(tm), kicks off this spring packing Nashville’s soon-to-be stars in front of the camera and onto the tour bus. Auditions for the new reality series are being held from March 22nd through May 10th, across the country, offering up the chance and the challenge of a lifetime to be chosen to travel with country music’s very own Bobby Chitwood, as he makes his way down The Hard Road to Nashville. At the end of that road paved with blood, sweat, and tears lies a recording and touring contract worth over 1 million dollars and the ability to play on one of the biggest stages in country music. On June 6, 2010, following a three day concert event outside of Laurel, MT, the selected series finalists will pack up their bags and hop onto Bobby’s trusted motor coach – the Silver Eagle. From there, the contestants can look forward to 90 hour work weeks traveling across the country, performances 6 days a week, and NO POOPING ON THE BUS – all this while the cameras are rolling and the viewers are voting to see who’s fit to make it to the next stop and who’s out on the next Grey-Hound bus back home. Not all the pressure is on the performers however, any member of the Silver Eagle crew runs the risk of being voted off and replaced as the viewers call all the shots. Information regarding the show and auditions can be found online at http://www.thehardroadtonashville.com – new visitors to the site can show their support and get daily updates by following The Hard Road to Nashville Twitter Feed and by wearing the complimentary t-shirt they get for visiting the website. to choose which album you would like and email me at the email address on this form. I will forward your choice to Marcome, who will email you the album directly. Thank you again and congratulations! Hugs! I’ll be reading and catching up!! Stumbled upon here from Indiblogger and was amazed at your bio. Oh my! Idoru bold malayalee aanallo, was my first thought. keep writing.. Just read your peshawar attacks post. My heart goes out too. Little innocent children, hmm.. my inner soul cries too. Lets pray for them and may their souls rest in peace. I never pray and praying doesn’t do any good. What is needed is for everyone to stand united against forces of terror and make our voices heard so the governments and armies finally put an end to the terrorists attack. Nice to find your blog. Very nice indeed. Look forward to reading more. I’m a blogger and I want to create a sponsored post on your website that will be informative & valuable for your readers. If this sounds like something you would like to go forward with, let me know. My name in Michael and I am loving this blog so far. I have sent you an email with the details.